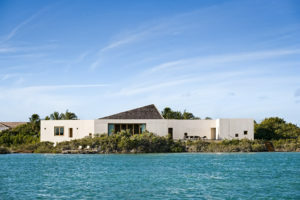 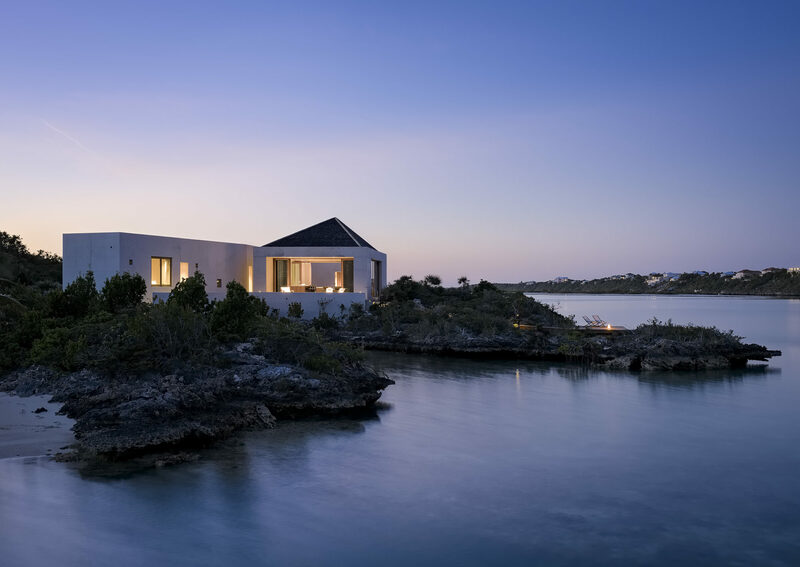 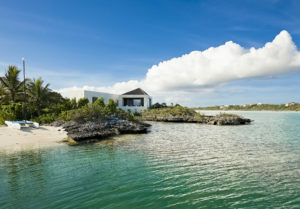 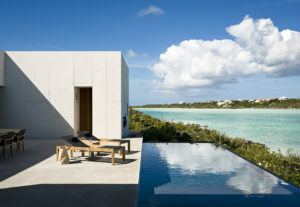 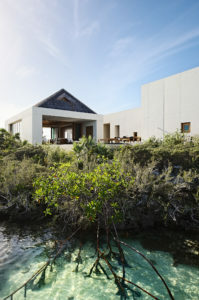 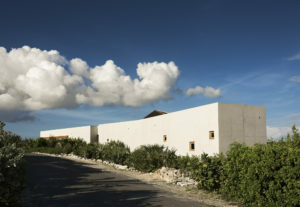 Appearing suddenly, almost as an extension of the natural coastline, this three-bedroom family retreat grows out of the elements on the southwest coast of Providenciales in the Turks and Caicos Islands. 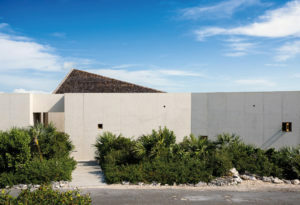 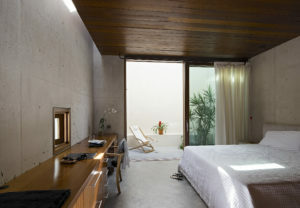 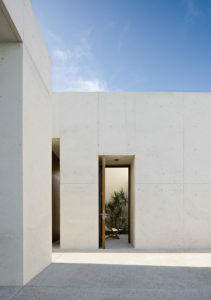 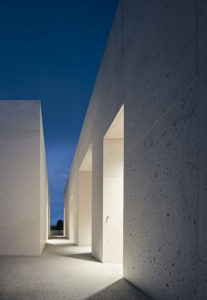 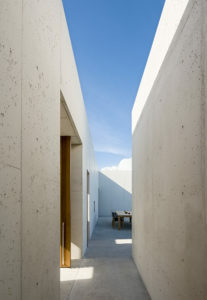 An outstretched horizontal platform connects the programmatic and volumetric elements of the house, whose details are rendered in rich mahogany, a warm contrast to the cool white of the concrete walls. 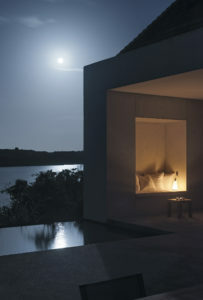 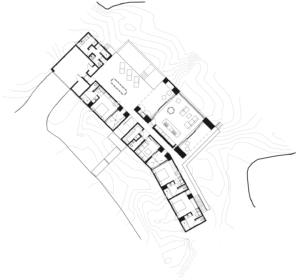 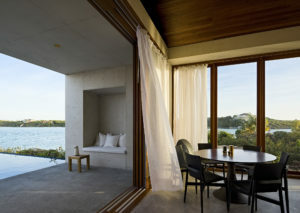 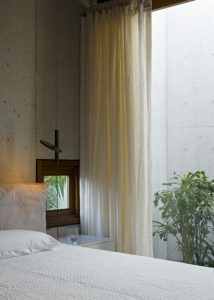 Natural breezes make their way across the spaces, and an elongated pool seems to feed into the natural water inlet, strengthening the connection between space and place.